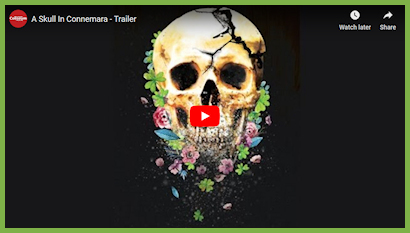 Quentin Tarantino meets Father Ted in BAFTA and Academy Award-winning Martin McDonagh’s hilarious black comedy A Skull in Connemara at Oldham Coliseum Theatre. Martin McDonagh’s subversive style has been regularly compared to Quentin Tarantino. He is best known for feature films: In Bruges, Seven Psychopaths and Three Billboards Outside Ebbing, Missouri (winner of three BAFTA Awards and two Golden Globe Awards). Use this discount code MTH15 to at the checkout to book £15 tickets*. (excluding Saturday evening show and Wednesday matinee).